Thank you to everyone who made the golden goal competition such a fantastic success. A very big thanks to Patricia Lordan for the huge amount of time and effort she put into organising and coordinating such a successful fundraiser. Thanks to everyone in both Ladies Football and Camogie Clubs for all their tremendous efforts with selling the tickets. Finally, thanks to all who bought tickets and congratulations to James on his win. Congratulations to James Murphy from Goggins Hill who won the 500 Euro prize in the golden goal competition. 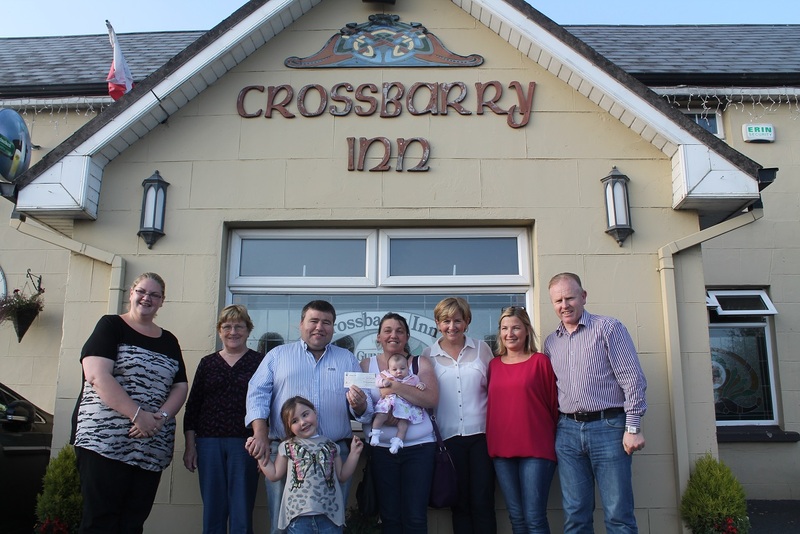 The winning ticket was bought in the Crossbarry Inn. The Ladies Football and Camogie Clubs would like to thank all those who supported this fundraiser, especially the people who bought and sold scratchcards. Over 5800 euros was raised by the clubs. If the prize is not claimed within 90 days, the prize money will be donated to to the Irish Cancer Society. A reminder that unsold golden goal tickets and money should be returned to your trainers by Wednesday 27th August. Thanks to all for supporting this fundraising initiative. The Ladies Football club and Camogie club have come together to drive an exciting fundraising initiative called GOLDEN GOAL. Members of the clubs will be selling scratch cards with a time on it. If the first goal comes in at that time in the All-Ireland men's Hurling final, the winner gets 500 Euro. If the ticket is unclaimed, the money goes to charity. Tickets are â¬2 each or 3 for â¬5. COMING SOON ...... the Valley Rovers Ladies Football club will be running a GOLDEN GOAL competition!! As part of our fundraising for the club, we are holding a used clothes collection on 24, 25 and 26 April 2014. Saturday 26 April from 9am to 12pm. We appreciate your help in this venture and thank you in advance for your support. Registration at the Innishannon training grounds on Wednesday 09 April from 6.30-7.30. If youâre doing a bit of Spring cleaning and are wondering what to do with your unwanted items, there will be a Clothing Recycling Drive as a fundraiser for the Valley Rovers Ladies Football Club at the end of April. We will take your clean, unwanted clothes, shoes, bed linen, household textiles and stuffed toys. Duvets and pillows will not be accepted.